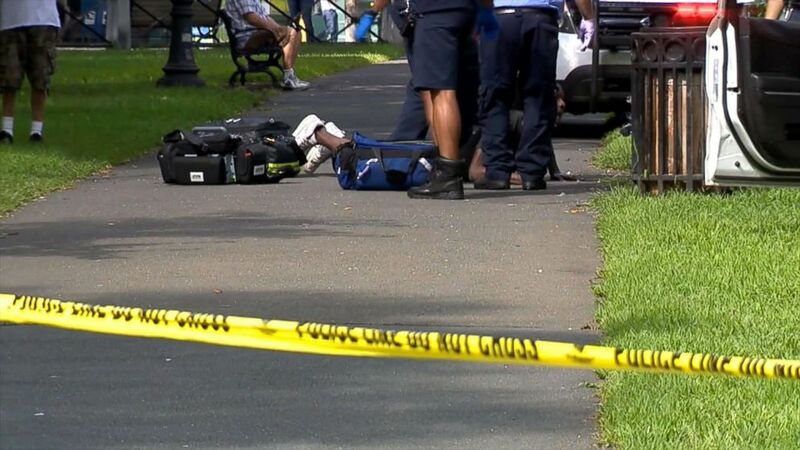 At least one of the suspects arrested in connection with more than 80 overdose cases in and around a New Haven park were handing out synthetic marijuana, also known as K2, for free, authorities said. 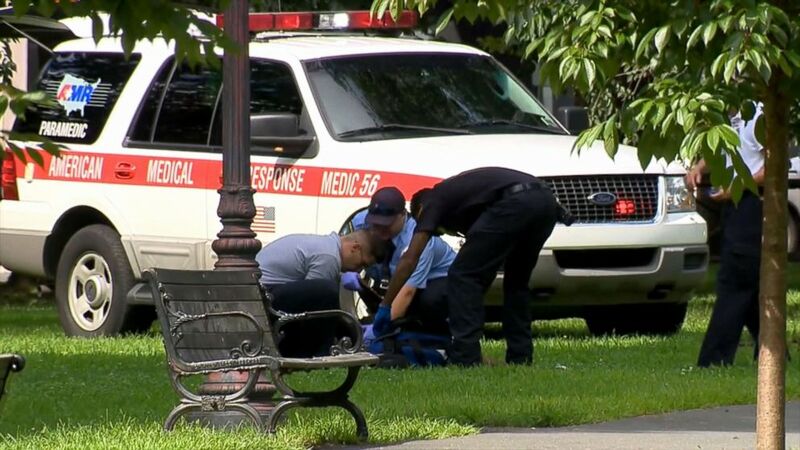 On Wednesday morning, first responders found dozens of people who appeared to have overdosed on the New Haven Green, with 25 of those overdoses occurring within a three-hour span in the morning and some four to six at a time, officials said. Seventy-six overdose cases were reported on Wednesday, while 71 people suffering from apparent overdoses were transported to local hospitals, according Officer David Hartman with the New Haven Police Department. Another five refused medical attention and were not in enough distress to be transported for treatment, he said. By Thursday afternoon, the number of overdose cases had climbed to the "high-80s," New Haven Police Chief Anthony Campbell said in a press conference. That number may rise because some of the people who received the drug may not have used it right away, according to the police chief. Three people have been arrested arrests in connection with the case, Hartman said, but officials cannot say for certain if all three or just one of the individuals are directly responsible for the overdoses. Their names have not been released and the investigation is ongoing, police said. One of the suspects didn't charge victims for the drugs and was "just handing it out," and some of the victims were being charged for the drug from another suspect, Campbell said. In addition, one of the individuals arrested was previously charged for distributing drugs and "clearly continued" to do so even after he or she was placed on parole, Campbell said. Initial samples sent to the Drug Enforcement Administration tested as K2, but additional samples were sent after emergency room doctors reported that some of the victims had fentanyl in their system, Campbell said. Investigators have a "good idea" of where the product came from, the police chief said. Some victims were "repeat offenders" and returned to the park after they were treated at the hospital and overdosed again, Campbell said, adding that some patients required three trips to the hospital. Authorities found more than two dozen people suffering from apparent overdoses at the New Haven Green in New Haven, Connecticut, Aug. 15, 2018. The victims appeared to be suffering from "multiple of signs and symptoms ranging from vomiting, hallucinating, high blood pressure, shallow breathing, semi-conscious and unconscious states," according to Rick Fontana, director of the city's Office of Emergency Operations. Two of the victims had life-threatening symptoms, he said. People who smoked or ingested the substance "tended to go down very fast" or "right in their tracks," a doctor who tended to victims on the scene told reporters Thursday. Many of the victims had to be resuscitated after they went into respiratory depression or cardiac arrest, the doctor said. New Haven Fire Chief John Alston Jr. said emergency crews were overwhelmed with "multiple" 911 calls about people who were experiencing overdose symptoms or were passed out on the New Haven Green on Wednesday morning, just after 8 a.m. local time. First responders sprinted across the park from victim to victim as more calls came in, at times finding the victims in groups. Wednesday was a "very difficult, very chaotic situation" for first responders, Campbell said. Some units responded to up to nine victims in one hour, Alston said. The overdoses were initially concentrated on the New Haven Green. But as the sun set, the incident began to branch out to different parts of the city where more people were found, police said. Victims were given several doses of naloxone, an antidote for narcotic overdoses, both on the scene and at the hospital. New Haven is "great provider of services for people who struggle with addictions," prompting people from other communities to seek resources there, Campbell said. New Haven Mayor Toni Harp said local organizations are aiming to provide recovery coaches, training and dissemination of naloxone and funding for a street psychiatrist to tend to those in need.